Fiji is not an island. It’s 300 islands which are dominated by two very large islands. The largest, Viti Levu, is home to the country’s gateway, Nadi. Travelers down under, in both Australia and New Zealand, have had a long love affair with Fiji as have many people who live on the West Coast of the U.S., but other travelers are less aware of all it has to offer. 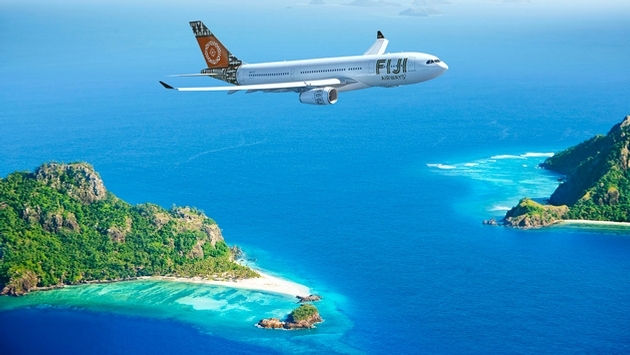 A 10-hour flight from Los Angeles, Fiji is basically a meal, a movie and a good night’s sleep from the U.S. If you’re flying from the East Coast or Midwest you can come into LA early, take a walk down Hollywood Boulevard or visit Disney and then get on the jet late at night good and tired and wake up in Fiji. 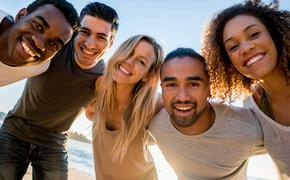 THE PEOPLE: Every destination talks about the friendliness of its people, but only a handful of countries even approach the hospitality one finds in the Fijian islands. At the core of that hospitality is the country’s thriving village culture. In Fiji, the Council of Chiefs is still vital enough to form a powerful body in the country’s government. This living village culture is the key reason Fiji is such a great place to take your family. Families don’t love Fiji because of theme parks or kiddie restaurants, but because the country’s villages, where the resort workers live and which are often adjacent to the resorts, follow an important village code. That code is best expressed, “If you’re an adult, you’re responsible for all the children within your eye sight.” Thus everyone looks after everyone’s children and that means you can let your kids run fairly free in Fiji. RESORTS: Another reason families love Fiji is because so many of its resorts have daily kids and teens programs and thanks to the country’s long experience with the New Zealand and Australian families, Fijians know how to deal with western tourists. The family market has spawned a string of sprawling sun and fun family resorts on Viti Levu, in Nadi, the off-shore island of Denarau and along the southern shores of the island in an area known as the Coral Coast. Because of their wider range of activities, the larger resorts, like the Outrigger on the Lagoon tend to be more suited to children. The larger resorts devote staff to children’s activities from craft and art classes to introduction to scuba. The Denarau properties tend to be of the large sprawling variety with plenty of activities and services. The sprawling resorts are matched by a full array of small ultra-luxury resorts, but more on them later. DIVING: Fiji consistently ranks high with divers on several counts including the health of its underwater environment especially its corals and sea life. Fiji has experiences for the full range of divers from beginner to master. 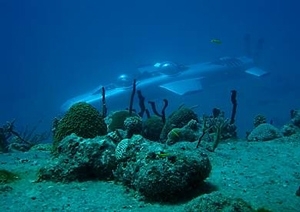 Only the Caribbean island of Bonaire has done as much as Fiji to get the youngest divers into the brine. The Philippe Cousteau Resort does it exceptionally well. For master divers there’s the Beqa Lagoon Resort & Spa, which lies a few miles across a rugged strait of sea that serves as a shark sanctuary from the southern shores of Viti Levu. The Beqa Lagoon Resort may be a humble property when it comes to luxury amenities, but it’s a major thrill for the divers who come to participate in the resort’s adrenal shark dive which brings divers face to face with two of the most dangerous and magnificent species; bull sharks and tiger sharks. ROMANCE: Couples make up about 80 percent of Fiji’s American travelers and it’s a market that spends about three times what normal tourists spend. American couples stay a lengthy 12 days on average. 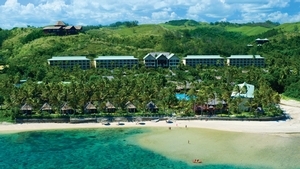 Most couples in Fiji divide their time between two resort locations. When they first arrive they’ll often take a complete de-stress in a small property out in the Yasawan or Mamanucan Island chains; Vanua Levu’s Savusavu area or on Taveuni. Generally, the smaller islands in the Yasawa and Mamanuca chains, Vanua Levu (especially around Savusavu) and the third largest island, Taveuni, tend toward small romantic resorts. After the chill has set in they want to get active and then they’ll often head to a big activity rich resort often on the Coral Coast. Fiji’s inventory of boutique resorts is backed up by a full sector of wedding service providers, inbound tour operators and cruise companies. The revised website can also be accessed as a useful resource tool while planning a Fiji vacation for soon-to-be weds, newlyweds and romantic couples. Don’t be fooled by the high spending, Fiji consistently ranks among the lowest priced countries especially when compared to some of the big names in Pacific island tourism. The prices are kept low by price sensitive Australian and New Zealand travelers (about 40 percent of the market) who demand lower price points. Fijian hotels come at many price points and are just as diverse in style. ADVENTURE: Adventure isn’t just the realm of athletic young 20-somethings in Fiji. In Fiji, even families experience adventure as I did years ago with my then nine year-old daughter in Taveuni when we slid down together on a natural water slide that was carved by a rushing stream. Visiting villages, doing kava ceremonies, small ship cruising and day sails through the islands, hiking, caving, birding, horseback riding, helicopter flights and of course, the world class diving. At the Jean-Michel Cousteau Fiji Islands Resort, you can put your kids in scuba, snuba or snorkeling classes. They can put a child of even six years old out on a reef with a snorkel or a snuba hose. Imagine that, getting your kids up close and personal with a living reef. In July, the Laucala Island will become the world’s first resort to offer a DeepFlight Super Falcon submersible experience. The two–person winged submersible craft is considered the most sophisticate submersible vehicle today. So even if you don’t want to get wet you can still explore lagoons and reefs beneath the surface.